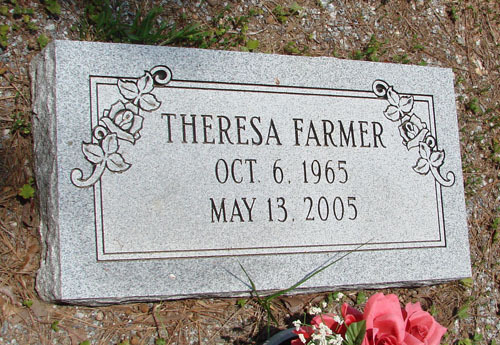 Theresa Diane Farmer, 39, of Woodstock died Friday, May 13, 2005. Services will be 22 a.m. Tuesday at Huey Funeral Home in Canton, with the Rev. Paul Dennis officiating. 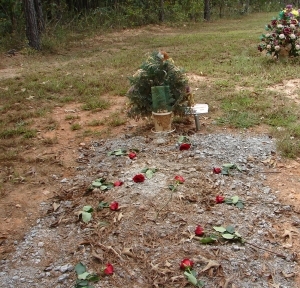 Burial will be in Old Macedonia Cemetery in Bartow County. Survivors include her husband, Timothy Farmer; one son, William Harbin of Hoganville; two daughters, Lisa Harbin of Jacksonville, Alabama and Candy Harbin of Lutherville; her mother, Alma Brown Trekell; three brothers, Smitty Mobley, Tony Mobley and Eddie Mobley. NOTES: Obituary listed the cemetery as “Old Macedonia Campground Cemetery in Alpharetta.” It was changed here because she is obviously buried at the one Bartow County.